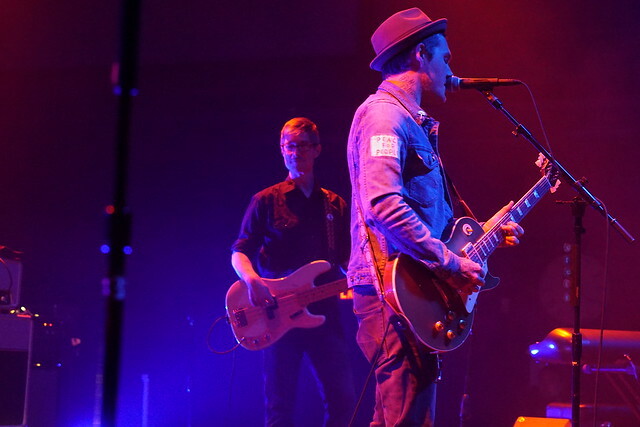 Posted on 05/03/2018 by Daniel Webb	in Live Review and tagged 9:30 Club, Brian Fallon, folk, heartland rock, New Jersey, The Gaslight Anthem. 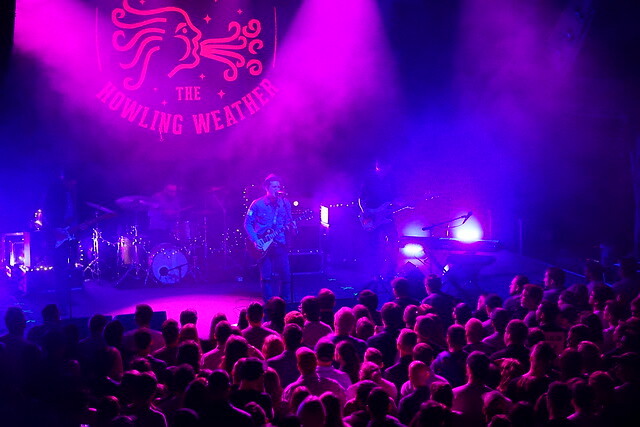 Brian Fallon and the Howling Weather took the stage for a self-described, but also very true, masterly designed set in a sold-out show at 9:30 Club on Saturday. 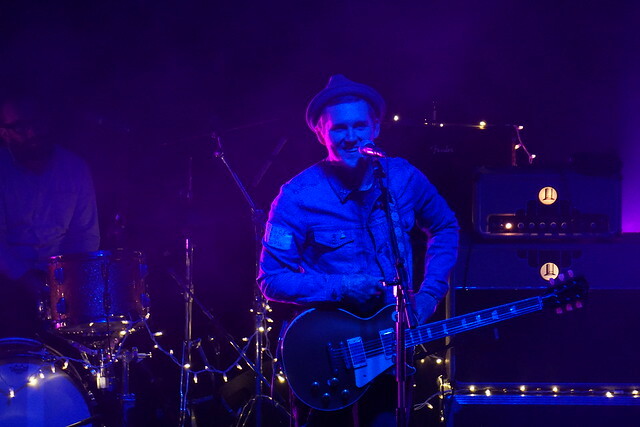 Brian Fallon and the Howling Weather is Brian’s solo project after the indefinite hiatus of The Gaslight Anthem (although they are performing some reunion shows for their ’59 Sound album’s 10 year, including 9:30 Club on May 27!). 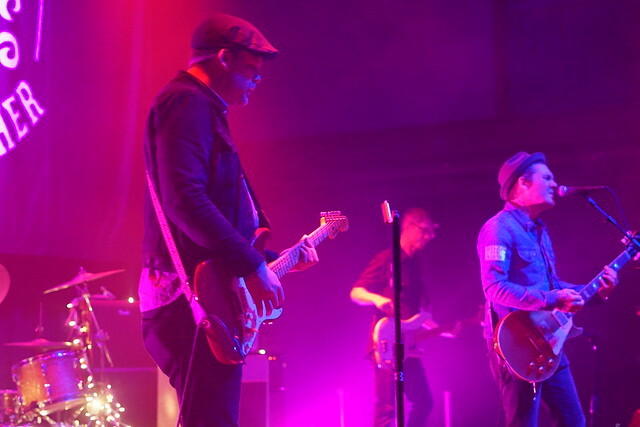 This show involved perfomrances of songs from solo records Sleepwalkers and Painkillers, sprinkled with some covers of other groups he is associated with, as well as covers from influences and iconic musicians like Tom Waits and Bob Dylan. The first song was the result of fan/artist Twitter interaction —- “Sultans of Swing,” a Dire Straits cover, followed by a rad set opener “Forget Me Not.” About halfway through the set, Brian moved over to the keyboard. A (presumably drunk) girl kept shouting the guitarist’s name, “IAN!!! !”, and that she loved him. Brian took that as a moment to teach her how to “woo” someone instead of simply shouting their name. He then proceeded to improvise a song dedicated to Ian that I cannot think of any other name for other than “Give me your money” to compete for Ian’s heart. I am pretty sure that he won. Brian also tends to humorously ramble into tangents in between songs. Among the topics covered: Not playing weddings because they are really lame and how awesome the Cheesecake Factory is because they serve fried macaroni and cheese triangles. Toward the end of the show, he played solo on the keyboard a slower cathartic rendition of “’59 Sound” that amassed probably the loudest cheering out of any song played. Then brought out Caitlin Rose, who was the opening act, in an homage to “the olden times,” and played a Bob Dylan cover, “Don’t think Twice, It’s Alright,” as a duet —- but not before getting in an across-the-room argument with a guy at the bar who apparently didn’t like Bob Dylan. 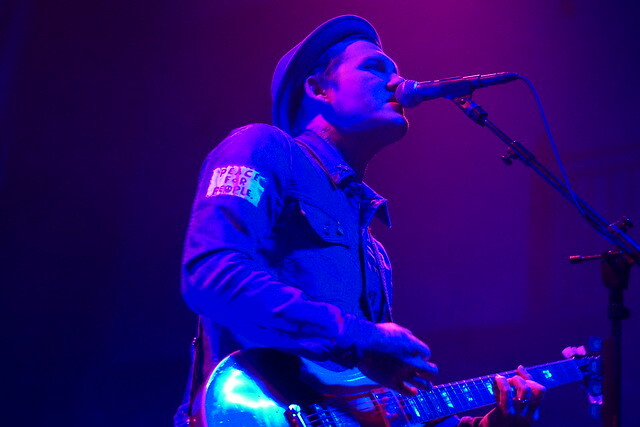 The set finished with the super-catchy “If Your Prayers Don’t Get to Heaven.” Brian Fallon has wrapped his tour but he returns to 9:30 Club with The Gaslight Anthem for a sold-out show on May 27.